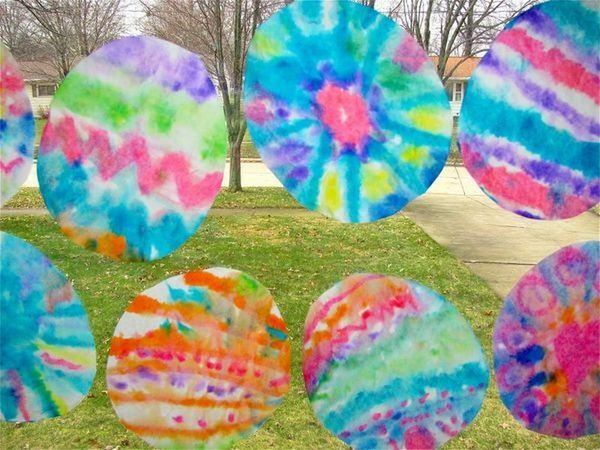 This Easter, let your children’s imaginations run wild as they create large, colorful Tie Dyed Coffee Filter Easter Eggs. Use the classic tie dye techniques you know and love to turn an ordinary round coffee filter into something whimsical and colorful. Cut it into the shape of an egg to finish it off!